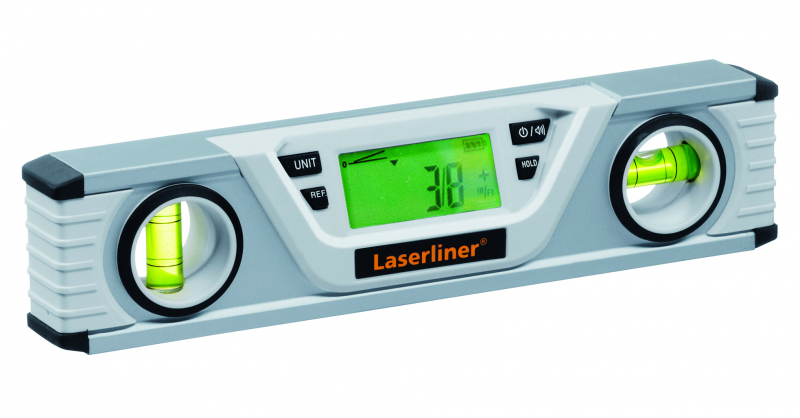 Digital electronic spirit level with vertical and horizontal angle display. The slope memory enables angles to be projected elsewhere. The slope can be shown in degree, inch/feet or percent. Horizontal, vertical and 45° use with audible inclination guide. Easy levelling. The illuminated display is easy to read under all conditions – even when overhead measurements are involved.